I know most people will say Kylo Ren's, but in case people like other ones, which one is your favorite? 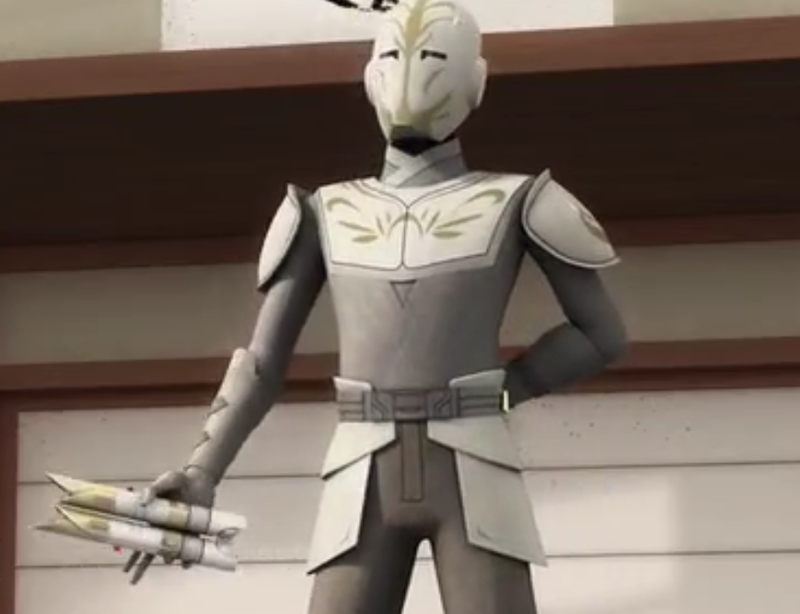 My new favorite is the Jedi Temple Guard lightsaber seen in Rebels. 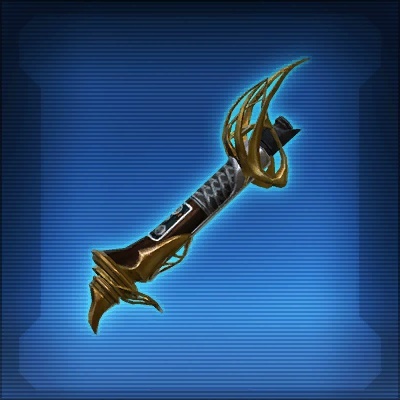 It's a double-bladed saber, but folds in half. The temple guard flicked it open and it just looked so cool. Kylo's is a close second. Darth Maul's is my favourite as well. 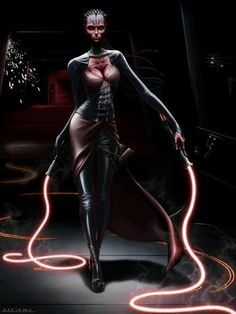 I like double-bladed lightsabers in general. I really hope we'll see Rey wielding this kind of lightsaber in the next Episode! Berhan wrote: Darth Maul's is my favourite as well. 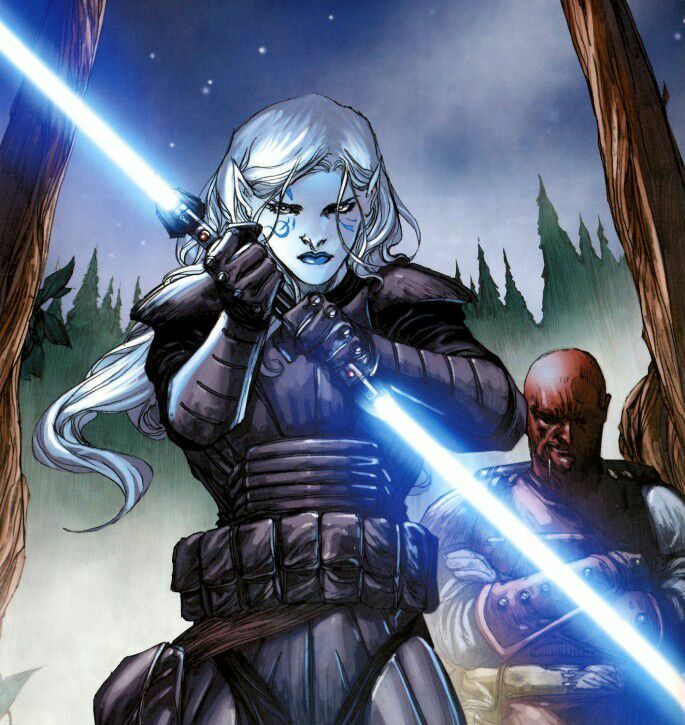 I like double-bladed lightsabers in general. Quoted for the truth! 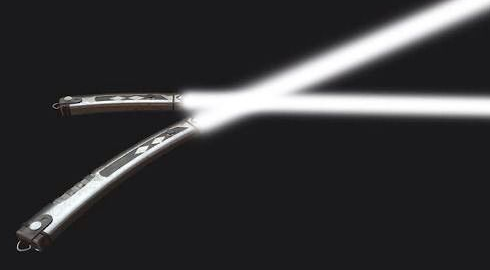 Double edge lightsabers are the coolest. How can you fight dirty if your both hands are on your weapon? I like Kylo's because I love his Aragon style fighting. I'm not hot on Jedi ballet unless it's a girl. So if Kylo keeps his gritty LOTR moves and saber and Rey gets a double bladed one and does some ballet with it, we are in for a treat. Also, someone's gotta whip Kylo with those light whips. Palpatine's is like the Rolls-Royce of lightsabers. @Darth Dingbat wrote: Palpatine's is like the Rolls-Royce of lightsabers. I think a lot of people hated them...but i LOVED the copter ones they had on rebels. So cool ! Kylo ren's lightsaber for the sound and the aspect & Anakin's lightsaber for the color and the sound when he snaps it (I love the sound that it makes when he's going to kill the younglings even if it's horrible ). I don't really have a favourite but I like Kylo's (because of the crossguard and unstable appearance of the blade), Darth Maul's (because of the double blades) and Palpatine's (because of the posh hilt). My preferred lightsaber colour is red but I also like purple because it's my favourite colour. Can't say I feel strongly about lightsabers, but I like the more distinct ones - Kylo's and Darth Maul's. I like the crossguard and its reference to the medieval knights. I've gotta say, Rebels has been killing it with lightsaber designs. 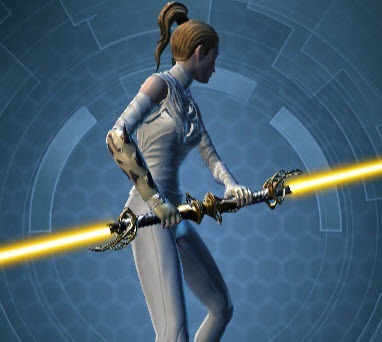 Ahsoka's white sabers are beautiful. And I absolutely adore how the Inquistor uses his saber. You can't really tell in the picture, but he's a fencer so he wields it like an epee – all gentlemanly like with great posture. (Anybody who hasn't seen Rebels yet needs to get on it). I favor the one handed variety, but like unique colors. I've always been partial to Mace Windu's purple. Darth Nihilus' looks like a s** toy with a booster rocket. Now I can't unseen it while choking over my laughing here!